Though teak is a beautiful wood and resistant to pests, it’s a rainforest tree and should be reconsidered as a flooring, even as a teak engineered flooring option. There are several species of teak, so shop around if you are set on a teak floor. Some people consider it a hardwood flooring, but it actually depends on which teak you choose as to its hardness. When most people think of teak wood they think of outdoor furniture. Teak has a rich, warm color, and highly functional. But teak is also used inside homes, for furniture and flooring, too. “Basic” softer than you would think (1155 on the Janka Hardness scale, softer than heart pine), based on its popularity, but it’s durable enough, and there are more exotic teak that is much harder. Why Choose Teak Engineered Flooring? Teak engineered flooring offers the same warmth and character as the solid version, but without the price and many of the issues that come with choosing hardwood. Teak engineered flooring has a great deal of depth of color and veining, which helps to create visual interest to make your home more welcoming and inviting. There are different types of teak engineered flooring and each has its own look. The different varieties of teak range from exotic to simple, but each has different veining and characteristics that make it unique and special. Here are some of the different types of teak engineered flooring you can choose. Brazilian teak or Cumaru engineered flooring features wood that is found in South America. This teak is known for being more uniform in appearance and features light brown to tan coloring. It also mainly comes from the heart of the tree. Cumaru is harder than “regular” teak, hitting the Janka chart at 3540. Brazilian teak engineered flooring makes an excellent addition to any type of home, from formal to more casual. Dominican Burmese Teak includes wood that is grown naturally in Thailand and Burma, but is also found in teak plantations in other tropical areas around the world. This particular type of teak features beautiful veining that gives it character and visual appeal. The color ranges from dark browns to tans. Burmese Teak hardwoods are endangered, making engineered flooring a better choice; and look for Forest Stewardship Council certified wood. Buying Burmese teak that was reclaimed from buildings and other sources that was turned into engineered flooring is another good approach. Golden Teak feature beautiful color variations that range from golden, honey hues to dark chocolate hues. This variation in color helps give this flooring a rich, beautiful look, one that you will enjoy in your home or office. The subtle graining in the wood gives it additional interest and differentiates it from other teak woods. You will be delighted with the beauty that this teak engineered flooring can add to your rooms and your home. Teak is known for being a very strong wood that has a natural resistance to bugs and water. This durability makes it a wonderful choice in engineered flooring, because it adds even more strength and function to the floors. This combination of the engineered portion of the flooring and the high quality and durability of teak creates a floor that can stand the test of time, no matter what you dish out. Teak engineered flooring is not optimal for use in areas that prone to water stagnation or wet areas. Other than that it can be used in all kinds of rooms like halls, study rooms, verandahs, dining rooms, etc. Teak wood are naturally known to have warm characteristics which is good for your feet when walking over. All varieties of teak wood are known to get scratches and dents easily, and hence the legs of chairs, tables and other furniture’s need to be padded to avoid the teak flooring from getting scratches. People wearing shoes with spikes or heels should not walk over the teak flooring to protect the beautiful teak flooring. Also, teak flooring exposed to direct sunlight can cause the flooring to change color over a period of time, hence blinds need to be closed to prevent the flooring from exposed to sunlight. Also, the flooring needs to be oiled often to retain the natural sheen for a long time. Teak oil is available at all stores which needs to be applied as per instruction specified along with the oil. Teak engineered flooring can offer your home a new and updated feel that can instantly warm up and update your rooms. 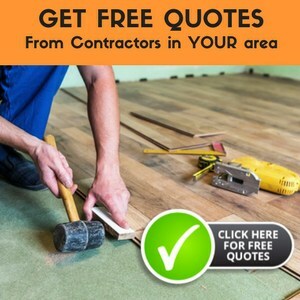 Most engineered flooring can be installed by a do-it-yourselfer, or you can hire someone to install it over your level existing flooring or your subfloor. Teak engineered flooring is sure to give your home years of beauty and your family years of functional and durable use. We have the golden honey teak in our house. Have had it for years. Beautiful. We can change up our paint and furniture, and the floor looks wonderful with any of the changes. makes the rooms look warm, yet elegant. Please comment on engineered teak flooring in mid brown colour as far as wearability.